​Bobbie Noall is a Senior Education Specialist with Bluegrass Learning. She has more than 16 years of experience in public education as a classroom teacher, literacy coach, and teacher mentor. Bobbie is currently a district-wide intervention teacher for a public school district in Kentucky. In this role she coaches school administrators and teachers on how to use data and best-practices to ensure quality interventions take place when students struggle. Bobbie has a Master's Degree in Elementary Education and holds advanced certification in Reading Recovery and Comprehensive Intervention Model. She is a National Board Certified Teacher in early and middle grades literacy and recently completed her Gifted and Talented certification. In addition to her work in Kentucky, Bobbie previously taught in Missouri and Texas, where she held Special Education and preschool certifications. Alice Cantrell is a 30 year teaching veteran. As a math consultant for Family Five, Alice oversees design, writing and development of all parent math lessons for the program. She currently works as a district-wide mathematics consultant for a public school district in Kentucky. In this role, she coaches teachers on how to deliver effective math instruction. Alice has a Master's Degree in Elementary Education grades 1 thru 8. She has participated in mathematics grant work through the University of Kentucky and has recently received training by the staff at The Kentucky Center for Mathematics in AVMR (Math Recovery) for elementary students. Dr. Zulmaris Diaz is a bilingual literacy consultant for Bluegrass Learning. She reviews, edits and re-writes language and literacy lessons to ensure they meet the needs of Spanish speaking parents and children. Dr. Diaz is an Associate Professor in the Department of Bilingual and Literacy Studies in the College of Education and P16 Integration at the University of Texas Rio Grande Valley. She supervises bilingual pre-service teachers, teaches graduate and undergraduate level courses on bilingual education in content areas and language development in bilingual settings and previously served as program coordinator for the EC-6 Bilingual Education Specialization program. In addition to her work at UTRGV, Dr. Diaz has worked as a Bilingual/ESL teacher, translator and Senior Faculty Member for institutions throughout Texas, including Austin ISD, Bryan ISD, Brazos School for Inquiry and Creativity, UT Pan American and Texas A&M University. 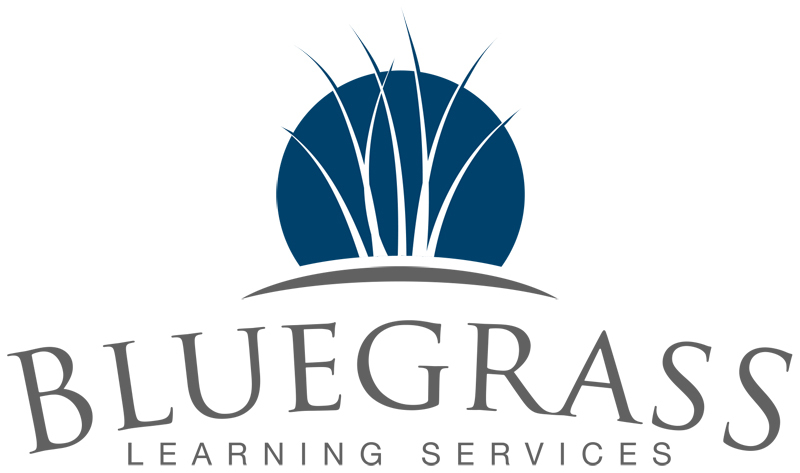 Joe Deaton is founder and President of Bluegrass Learning Services and oversees development of Family Five, including the usability and feasibility research used to ensure Family Five meets the needs of parents, teachers and administrators. Joe has more than 12 years of experience as an educational consultant and multi-state territory manager with leading education publishers. He has helped school districts design, develop, implement, and monitor programs to increase achievement with their lowest performing students. Joe has worked with large and small school districts in Kentucky, Virginia, Tennessee, North Carolina, Georgia, Indiana, and West Virginia to help them ensure all students receive high-quality instruction. Joe is a veteran of the US Navy's Submarine Service where he served on-board the USS Helena (SSN 725). He has a Bachelor of Science degree in Marketing from Western Kentucky University. Steve Patton is a Senior Test Preparation Instructor with Bluegrass Learning Services. He has more than 25 years of teaching experience in Kentucky high schools. Steve previously taught in Ohio and Barren Counties. He finished his public school career as the ACT teacher for Glasgow Independent Schools. In three years in that role he raised the school-wide average ACT score by nearly 3 points. This increase placed the school in the top 15 high schools in Kentucky for ACT scores during the 2012-13 school year. Steve has a Bachelors degree from Campbellsville College and his graduate work includes a Rank II certification from Western Kentucky University. He lives in Cave City, KY.
Judy Brooks contracts as a Senior Mathematics Specialist with Bluegrass Learning Services in Bowling Green. She has 30 years of classroom teaching experience, including working as mathematics department head at a high school. Since retiring from the public school system, Judy continues to teach university classes as an adjunct instructor of mathematics at Western Kentucky University. Catrina McDermott is a Test Preparation Instructor with Bluegrass Learning Services in Southeastern Kentucky. She has 16 years of experience in public education including teaching secondary English, journalism, theater, and creative writing. She has worked as a drop-out recovery specialist, assisting students in returning to school to gain their diploma or GED. Catrina is currently employed by the Knox County School District as a Curriculum Specialist at Knox Central High School. Catrina has a Specialist in Education degree and a Master's Degree in Secondary Education with an emphasis in English from Eastern Kentucky University. Maria Barr is a Senior Education Specialist with Bluegrass Learning Services. She has 14 years of teaching experience in the public education system, including elementary English Language Instruction, English and Philosophy instruction at the university level, adult English as a Second Language instruction, and general elementary instruction in all content areas. Maria currently teaches English Learners for Warren County Schools. Maria has a Masters Degree in Teaching English to Speakers of Other Languages (TESOL), English as a Second Language (ESL) Certification for all grades/levels and a Kentucky Certification in Elementary Education. She has been invited to present at the National TESOL Convention in New York City and regularly presents best practices on the teaching of English and language acquisition to fellow teachers. In addition to her work in Kentucky, she has lived, taught, and studied abroad in several countries, including Mexico, The Dominican Republic, Brazil, and Spain. Maria enjoys spending time with her family and friends, attending cultural events, sports, and reading. Tracey Wright is a Special Needs and Elementary Learning Specialist with Bluegrass Learning Services. She has worked for more than 18 years in Kentucky schools. For the last 9 years she has been an Elementary Special Needs teacher in Warren County Schools. Tracey is a Kentucky certified teacher for grades K-12 and has a Master's Degree in Exceptional Education from Western Kentucky University. Christie Gantt is an Education Specialist with Bluegrass Learning. She has 20 years of teaching experience in the public education system as a classroom teacher, reading resource teacher and math intervention teacher. Christie currently works in Bowling Green Independent Schools as a classroom teacher. In her previous role, she provided math intervention services. She also mentors other teachers by helping them design and implement research based math lessons. Christie has an Elementary Education Degree as well as a Masters Degree in Guidance Counseling from Western Kentucky University. Bobbie Noall is a Senior Education Specialist with Bluegrass Learning Services. She has more than 16 years of experience in public education as a classroom teacher, literacy coach, and teacher mentor. Bobbie is currently a district-wide intervention teacher for a public school district in Kentucky. In this role she coaches school administrators and teachers on how to use data and best-practices to ensure quality interventions take place when students struggle. Bobbie has a Master's Degree in Elementary Education and holds advanced certification in Reading Recovery and Comprehensive Intervention Model. She is a National Board Certified Teacher in early and middle grades literacy and recently completed her Gifted and Talented certification. In addition to her work in Kentucky, she previously taught in Missouri and Texas, where she held Special Education and preschool certifications. 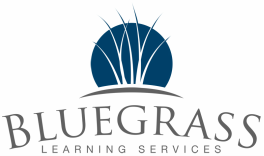 Joe Deaton is founder and President of Bluegrass Learning Services. He has more than 12 years of experience as an educational consultant and multi-state territory manager with leading education publishers. He has helped school districts design, develop, implement, and monitor programs to increase achievement with their lowest performing students. Joe has worked with large and small school districts in Kentucky, Virginia, Tennessee, North Carolina, Georgia, Indiana, and West Virginia to help them ensure all students receive high-quality instruction. Joe is a veteran of the US Navy's Submarine Service where he served as a crew member on board the USS Helena (SSN 725). He has a BS in Marketing from Western Kentucky University. Are you an experienced current or retired teacher who would like to tutor? Fill out our contact page.